We all sneeze from time to time for what is seemingly no reason, and your cat is no exception. Just like humans, when cats sneeze it's a normal response to irritation of the nasal passages. An occasional kitty sneeze isn’t anything to worry about. In fact, cat sneezing can be pretty cute! However, if you notice your cat having extended sneezing fits, or that her sneezes are accompanied by any form of discharge, it could be something more serious. A kitty sneeze every once in a while, as long as your cat is still active and behaving normally, is probably nothing to be concerned about. 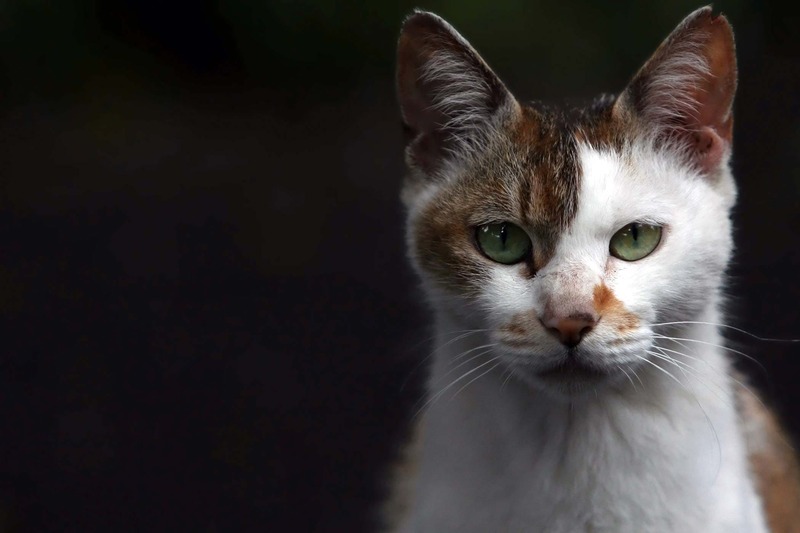 However, if the sneezes are more than occasional or are accompanied by blood or mucus, or if your cat also has discharge from her eyes or nose, it may be a sign of a more significant problem. Read on for the most common causes of cat sneezes. Just like you, your cat may sneeze just as a reaction to a tickle in her nose. A bit of dust or a mild chemical irritant can cause a reflexive sneeze. Sometimes strong smells or fumes associated with various solvents or cleaning materials can inflame the membranes of the nose and sinuses, causing cat sneezing. 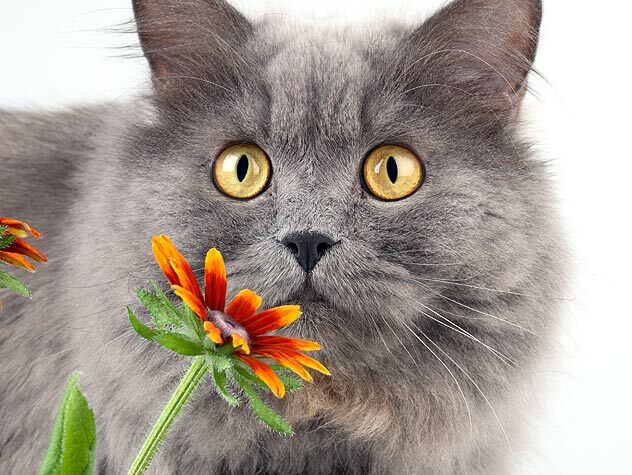 Some cats are also sensitive to pollen, mold, cat litter (especially types that create dust), tobacco smoke, perfumes, air fresheners, and other chemicals. A sneeze is the body's way of ridding itself of this irritation. If your cat has a nasal polyp or a foreign body in her nose, such as a blade of grass or grass awns (sharp grass seeds that can burrow into a pet’s tissues), her nose may be irritated. She may sneeze in an attempt to expel the object. If this is the cause of your cat's sneezing, her cold-like symptoms may start on one side of the nose and then spread to the other. 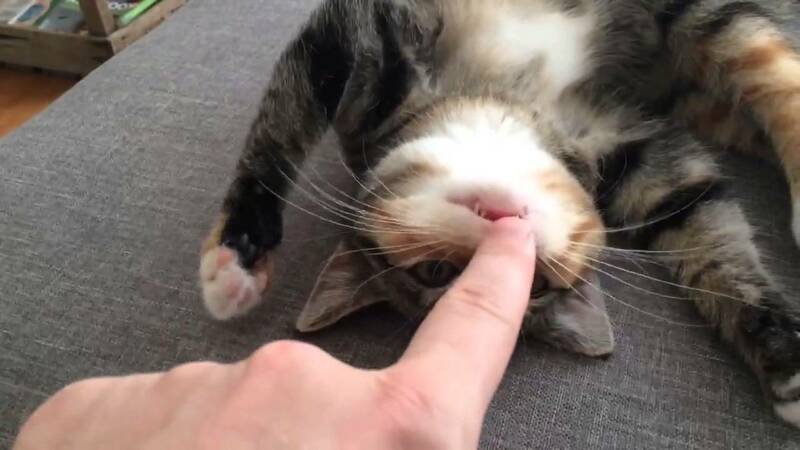 Tooth root infections are a very rare cause of persistent cat sneezing—a situation in which a tooth infection is training into the cat’s sinuses. 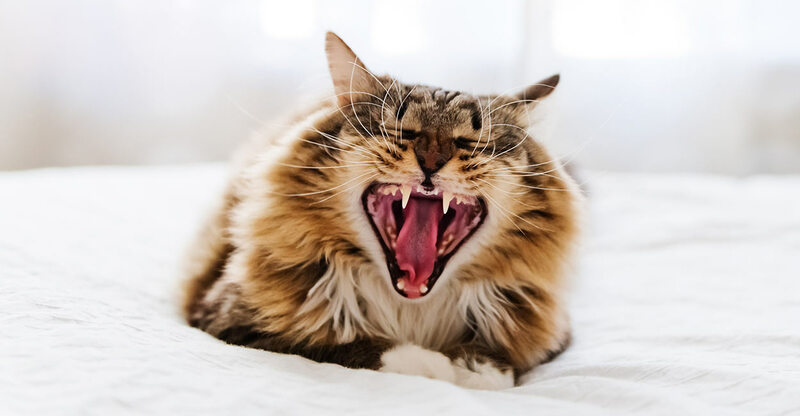 If you suspect a tooth infection, be on the lookout for bad breath in addition to frequent sneezing, which may indicate painful dental abscesses that can pose a risk to your cat’s health. You may want to make sure that a dental checkup is part of your cat’s regular vet visits. While the viruses that cause colds are species-specific, it may appear as though your cat has caught a cold. If your cat's sneeze is accompanied by other symptoms (i.e., runny nose, eye discharge, loss of appetite, or a lower energy level), she may have an upper respiratory infection. A shower of discharge that is sprayed out when your cat sneezes, especially if the discharge is blood-stained, yellow, or green, could also be a sign of an upper respiratory infection. Sneezing blood is never a good sign, whether it’s you or your cat sneezing. Several feline viruses and even a few bacteria can cause symptoms that look a lot like human cold symptoms. Generally speaking, cat sneezes are not dangerous. The majority of the time, a sneeze is just that--a sneeze, expelling irritation from the body. However, if your cat sneezes continuously or often, sneezes blood, or exhibits other symptoms, these may be signs of an illness or condition that needs veterinary care. Specifically, if your cat's sneezes are accompanied by other symptoms, such as a runny discharge from the nose or eyes, it could be a sign that your cat has an upper respiratory infection. Upper respiratory infections can occur in any cat but are most common in kittens or in under-vaccinated adults who have had contact with other cats. Feline herpes virus and feline calicivirus are the most common viruses that can cause upper respiratory infections in cats. Both of these viruses are contagious between cats, but cannot be caught by humans. In some cases, a secondary bacterial infection may develop, which may lead to pneumonia. Like with the feline herpes virus and feline calicivirus, many of the viruses that can cause your cat’s upper respiratory infection are species-specific. Your cat cannot catch a cold from you, and you cannot catch a cold from your cat. If your cat only sneezes occasionally, with no other symptoms (or only mild symptoms), you may want to simply monitor her for a few days. Keep your cat indoors and watch for any changes in symptoms or behavior. If your cat sneezes continuously or often (sneezing episodes that occur over the course of a few hours or frequently over several days), or has other symptoms like those listed above, call your veterinarian. These may be signs of a serious illness or condition that requires medical attention. Usually, a thorough physical exam is sufficient for your vet to diagnose an upper respiratory infection. However, if your cat does not respond to treatment as expected, your vet may recommend other diagnostic tests (such as blood tests or X-rays) in order to get to the bottom of your cat's symptoms and plan more aggressive treatment. Most upper respiratory infections are viral, and there is no "cure" for the common cold. But you can treat the symptoms to make your cat more comfortable while the virus runs its course. Your vet may prescribe antibiotics if a secondary bacterial infection is suspected. 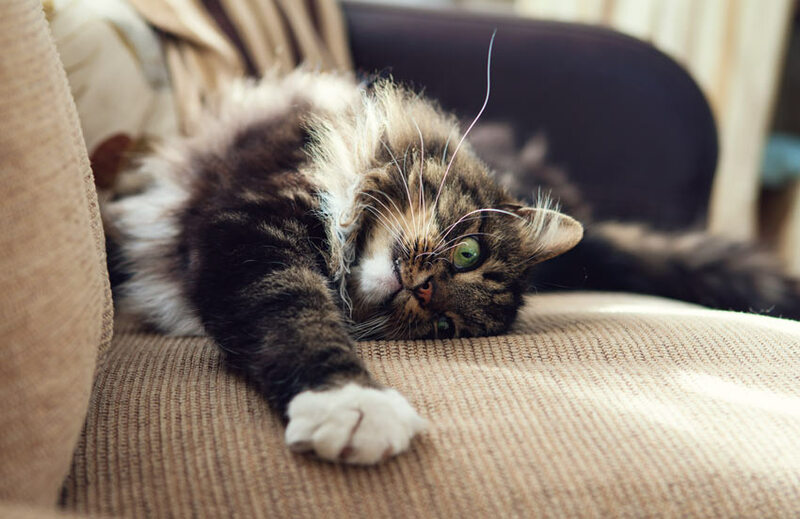 Stress can often worsen the signs of infection or increase transmission between cats. It is also important to remember that upper respiratory infections can lie dormant in a cat’s body for several months and flare up again under stress. If your cat has an upper respiratory infection, you will want to keep her calm and comfortable as she heals. You may consider minimizing her exposure to other cats and stressful situations. Below are some things you can do to help your cat recover and treat her upper respiratory infection at home. Keep your cat's face clear of discharge. A warm damp washcloth or paper towel works great to help kitty keep her face clean. Provide plenty of fresh drinking water. The last thing you want is for your cat to become dehydrated. Use a vaporizer that produces warm, moist air to help your cat's sinuses drain and clear her nasal passages. Putting your cat in a warm, steamy bathroom can also be effective. Do not try to give your cat medications without consulting your vet. Many human medications can be harmful or toxic to cats. It is also very important to make sure that your cat continues to eat, especially if your vet has prescribed antibiotics. Cats who go without food for even a short period of time can develop hepatic lipidosis, a liver condition that is potentially fatal. If your cat is a picky eater or is refusing to eat, you can try to encourage her to eat by warming up some canned wet food or even meat-based baby food in the microwave. If your cat refuses to eat for more than a day or begins showing signs of severe lethargy, take your cat to an emergency care center for further workup and treatment. This may include intravenous (IV) fluids, medications, or appetite stimulants. The two most common viruses that cause upper respiratory infections in cats are the feline herpes virus and feline calicivirus. Vaccines are available for both of these viruses, so you'll want to make sure your cat receives these vaccines as well as any boosters recommended by your veterinarian in order to help prevent infection. Most instances of cat sneezing are probably nothing to worry about. If your cat’s sneezing just won’t go away or is accompanied by other symptoms that look like a cold, you’ll want to check with your vet to make certain your best friend is okay. Most cases of feline upper respiratory infections are easily treated, and your cat should soon be feeling much better. Of course, prevention is always better than treatment. By taking a few extra steps, you may be able to keep your cat healthy instead of having to nurse her through an upper respiratory infection. Some of the best ways to make sure your cat stays healthy are to make sure her vaccines are up to date and that she has regular checkups with her vet. If you are ever uncertain about any aspect of your cat’s health, call your family veterinarian. They are there to help you, and your cat have a long, healthy life together.